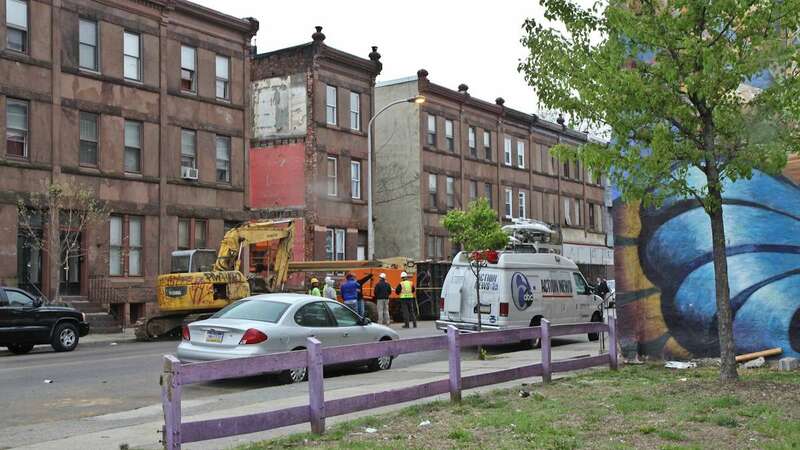 Two construction workers in North Philadelphia were injured Tuesday morning next to the site of a building demolition. 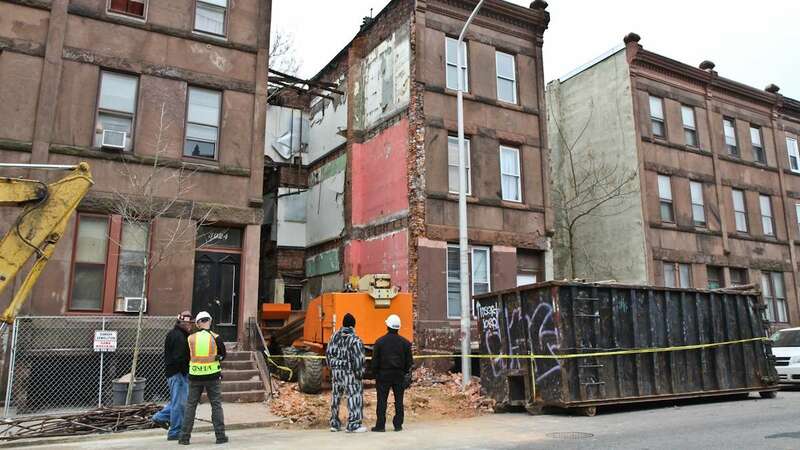 The men were standing near a three-story row house that is being torn down, when a portion of the facade fell from an adjacent building, said city Fire Capt. Clifford Gilliam. The two were not actively working at the time. 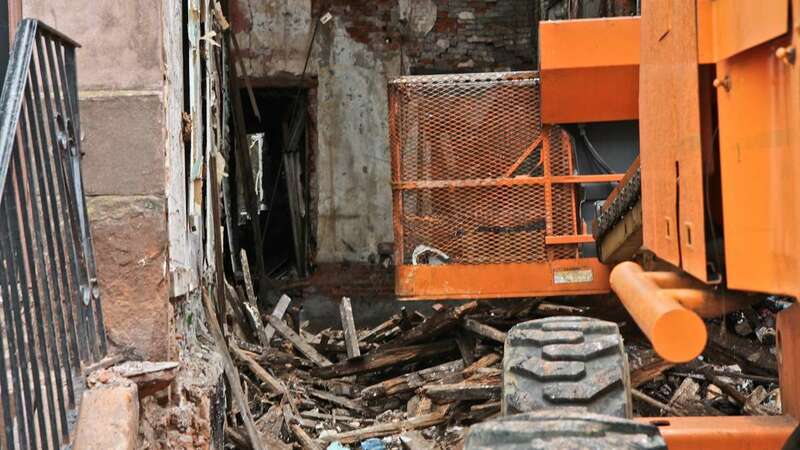 One worker was hit in the head and the other was struck in the leg, according to authorities. Gilliam said the injuries were not life-threatening. The row house, located at 3026 Diamond St., is owned by the Philadelphia Housing Authority. 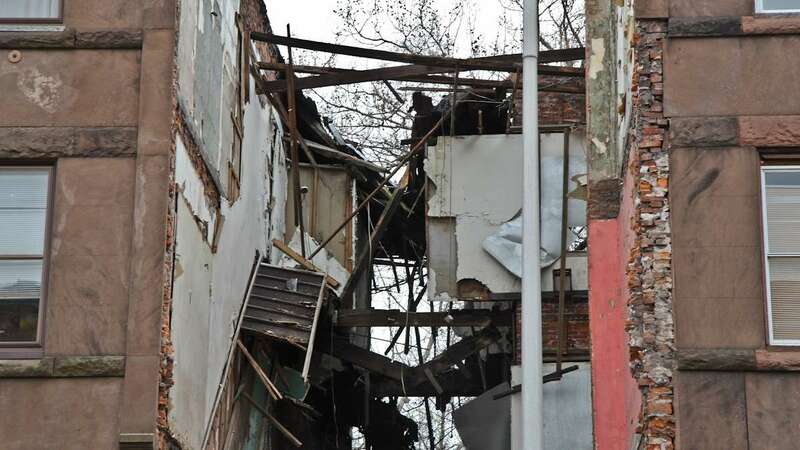 Scott Mulderig, a director in the emergency services division of the city’s Licenses & Inspections department, said the building partially collapsed a few weeks ago, which prompted the city to hire a company to tear it down. 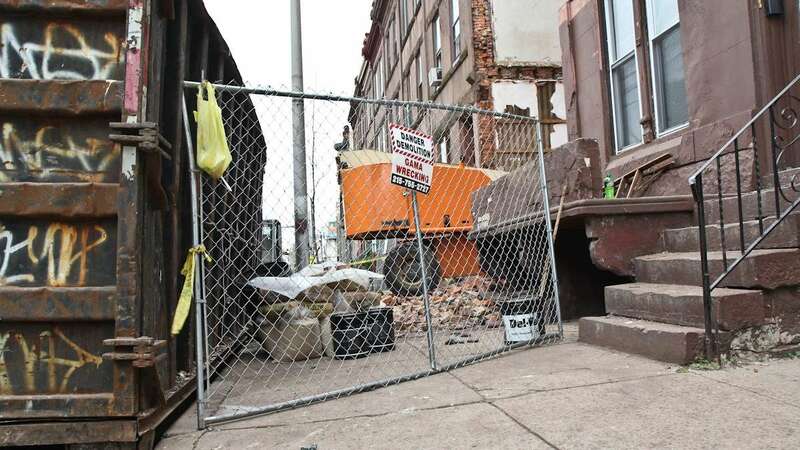 He said the contractor, Gama Wrecking, was “following all the regulations and specifications that are set forth by the city of Philadelphia” during the demolition. 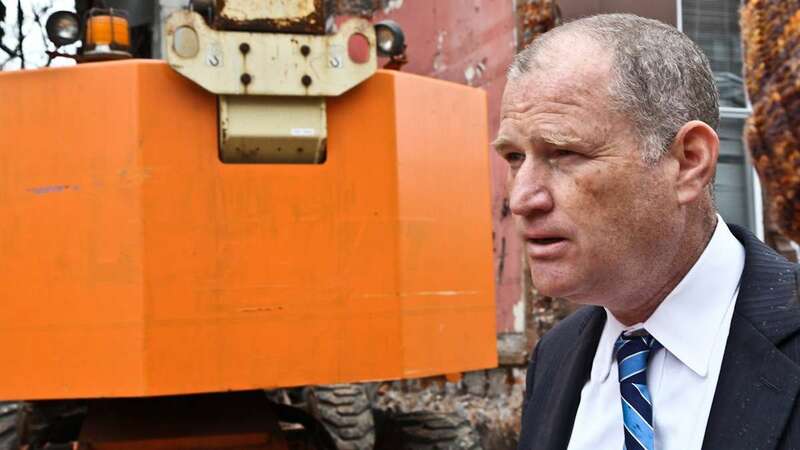 A spokeswoman for L&I said Gama Wrecking has no history of violations. 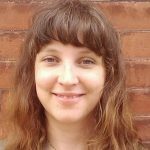 Additional reporting by Kimberly Paynter.